“You are a unique being who came into this life. and there will never be anyone like you, ever. Prem Rawat is an international speaker who has traveled the world for over four decades, inspiring people to find peace within. He speaks from the heart, without script or rehearsal, bringing simplicity to important issues that human beings often find complex. His message is made available in more than 90 countries and 70 languages. Over 10 million people around the globe anticipate the chance to hear him speak live. Whatever the language or the medium, the message remains the same: there is a very practical way of getting in touch with the peace that already exists within each person, and world peace begins with individual peace. Here's a video: Introducing Prem Rawat's message. Prem Rawat is regularly invited to address various Universities, Civic Forums, & Government Organizations. He has received widespread recognition for more than four decades. 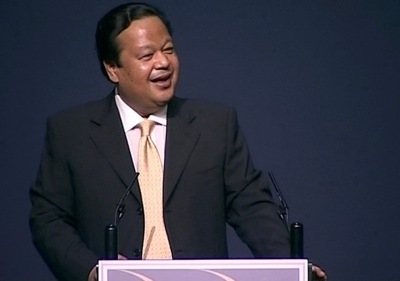 Apart from being Ambassador of Peace, Prem also spearheads significant Humanitarian activities in many countries through his non-profit charitable organization - The Prem Rawat Foundation (TPRF). The TimelessToday (TimelessToday.tv) presents a panorama of stories, news articles, interactions, and other materials, about Prem Rawat’s message. TimelessToday’s sole function is to make Prem Rawat’s message widely available through live events, online audio-visual materials, and written articles. They also assist people to pursue it further, if they wish, via The Keys, and provide everyone with the access, materials, and assistance they may need. Through Words of Peace, Prem Rawat points to the possibility that each individual can find peace within, irrespective of circumstances around them. WOPG hosts events with Prem ranging from small, intimate talks to international tours. They also host television programs on a wide range of channels across the world, and put out regular LiveStream broadcasts and webcasts of Prem Rawat’s talks. WOPG events are broadcast on satellite television throughout the South and North America, Europe, Australia, Asia and the Pacific - in 50 countries and 48 languages each week. WOPG broadcasts reaches to over 25 million people in United States alone.